ABBY WAMBACH is a two-time Olympic gold medalist, FIFA World Cup Champion, and the highest all-time international goal scorer for male and female soccer players. She is an activist for equality and inclusion and the New York Times bestselling author of Forward: A Memoir. Abby is co-founder of Wolfpack Endeavor, which is revolutionizing leadership development for women in the workplace and beyond through her champion mindset, individualized coaching, and team-bound focus. Abby lives in Florida with her wife and three children. 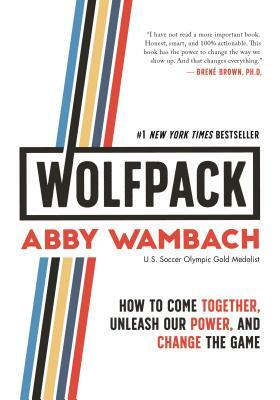 “WOLFPACK is a must-read for all of us determined to teach our kids there are no limits. It’s a manifesto for everyone trying to lead—whether it’s a team, a company, a family, or a meaningful life. For those of us who strive to do it all and know there must be a better way, WOLFPACK’s New Rules are the answer."